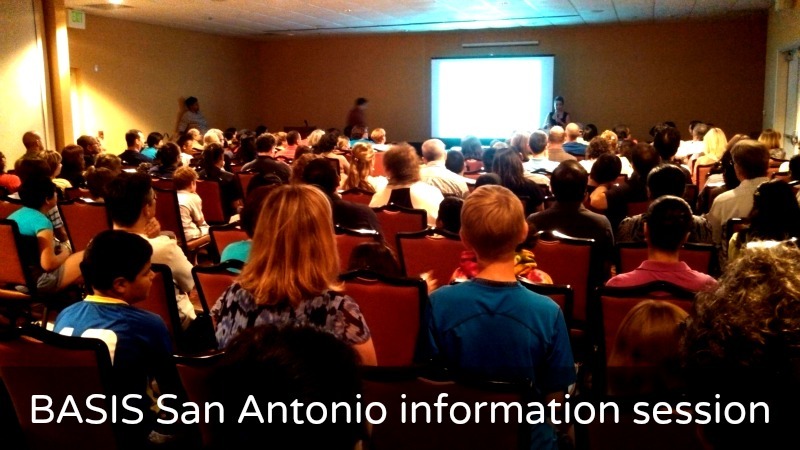 The next BASIS San Antonio information session will be at 6:30 p.m. on Tuesday, June 11, 2013 at the La Quinta, 4431 Horizon Hill Blvd., San Antonio, TX 78229, in the Medical Center area. See pictures from the last information session at this earlier post. Construction is underway on the campus at the corner of Floyd Curl Drive and Hamilton Wolfe Road. (This earlier post has a pre-construction photo.) The BASIS temporary office, as seen in this earlier post, is open daily from 9 a.m. to 5 p.m. for parents to drop off registration paperwork. The location is 9901 IH-10, Suite 800, San Antonio, Texas 78230 (map), and the phone number there is 210-556-4651. The best way to stay up to date about BASIS San Antonio is to create an account at basislink.org. If the wait lists grow long enough, BASIS will consider opening another San Antonio campus for 2014-15. So, please tell your friends about BASIS, and invite them to come to information meeting and learn more about what everyone is talking about.